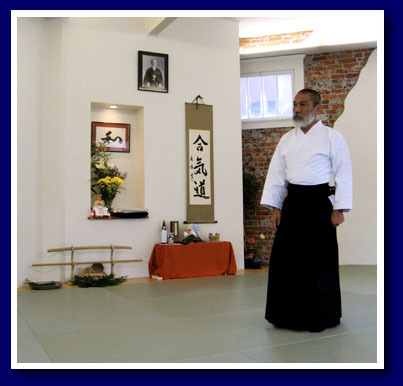 George Ledyard Sensei began his Aikido studies in 1976 under the direct instruction of Mitsugi Saotome Sensei and has continued this association ever since. Ledyard Sensei currently holds the rank of 7th Dan in Aikido. 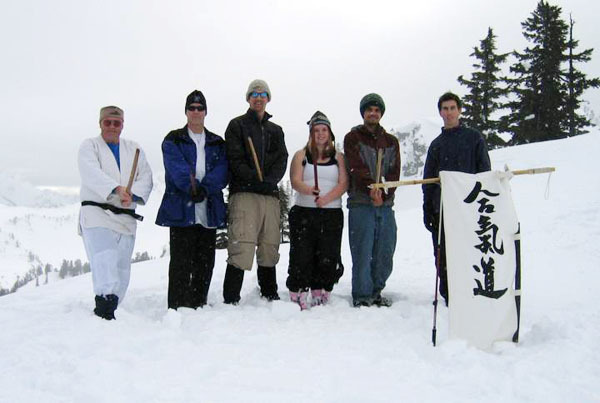 Sensei Ledyard believes that Aikido should be both a spiritual practice and a martial art. 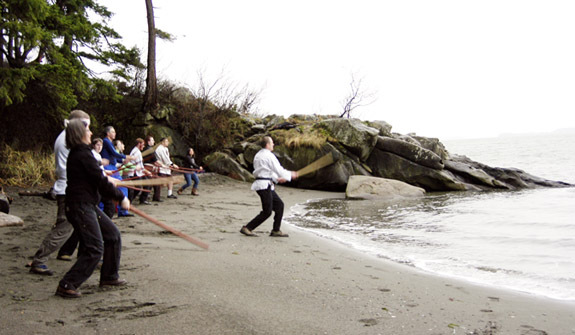 He is known for his work with the staff and sword and also for an innovative approach to applied empty-hand technique which brings in elements from his training in Japanese Koryu, Iaido, Filipino martial arts and Systema. Okimura Shihan began his study of Aikido in 1963 and received his Shodan in 1968. He served as a deshi at Hombu Dojo in Tokyo, Japan under Doshu Kissomaru Ueshiba. 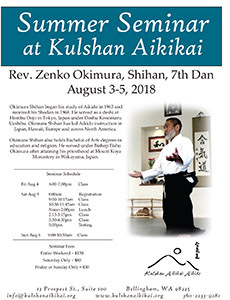 Okimura Shihan has led Aikido instruction in Japan, Hawaii, Europe and across North America. Okimura Shihan also holds Bachelor of Arts degrees in education and religion. 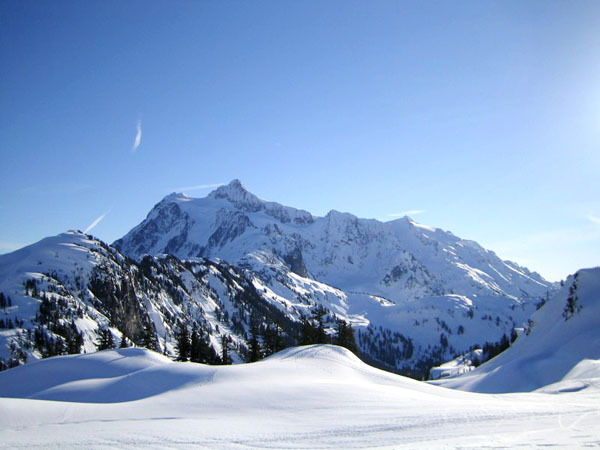 He served under Bishop Eisho Okimura after attaining his priesthood at Mount Koya Monastery in Wakayama, Japan. Rev. 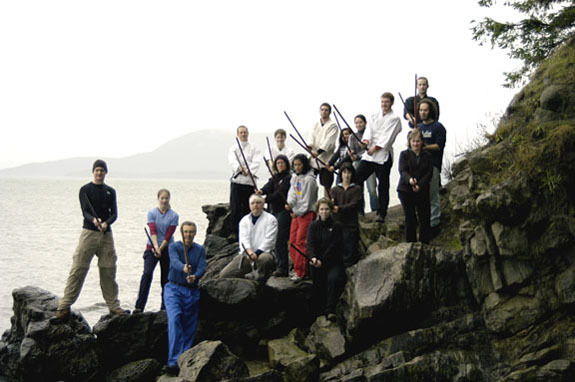 Z. Okimura, Shihan lead our Grand Opening Celebration on November 22, 2008. Okimura Shihan performed a dojo blessing as well as lead students in a seminar. Approximately 100 people joined in the blessing ceremony ans 22 participated in the seminar (which pretty much packed our somewhat small space). 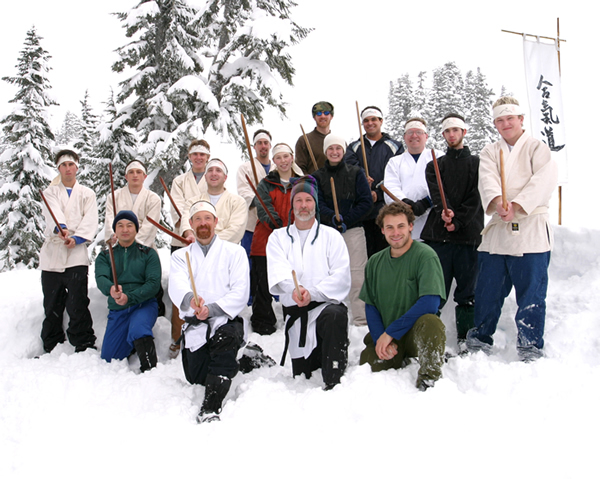 Yudansha traveled from Seattle and Oregon to join in our celebration and it was especially gratifying to have many of the original founding students of Kulshan Aikikai come back and celebrate with us. It was truly a special occasion.